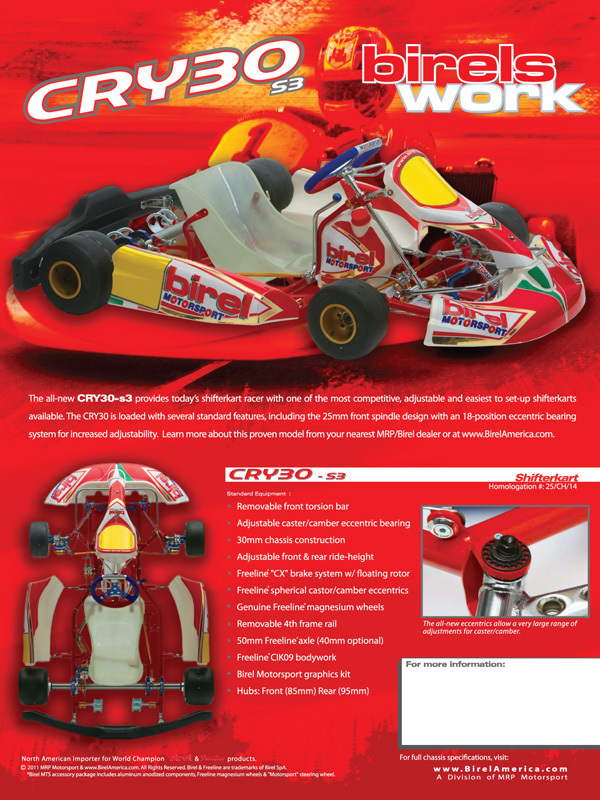 The 2011 CRY30-S3 product brochure is now available for download and viewing. One of the most versatile and effective shifterkarts on the market, the CRY30 provides racers with proven performance, reliability, quality and support. Download complete PDF Specification Sheet HERE. For more information or to locate your closest dealer, contact our sales office at 269.756.9133.